Breeding & Reproduction: Courtship occurs in late fall to early winter in Massachusetts—and is a spectacular sight consisting of aerial loops, cartwheels, dives, and ending with the prospective mating pair locking their talons together and diving straight downward for hundreds of feet while spinning head over heels. 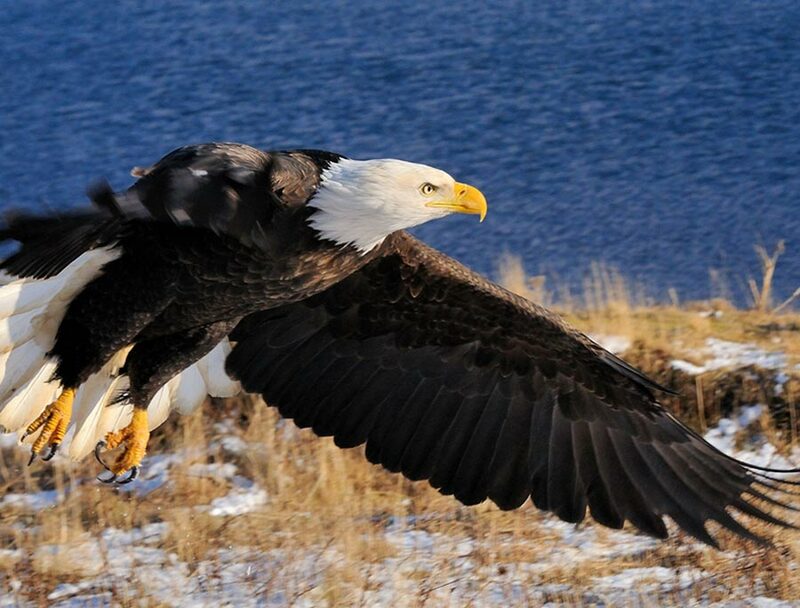 Bald Eagles may live up to 30 years, but mortality is relatively high in the immature age classes. They mate for life, but if one member of a pair dies or is killed, the other will actively court another mate. After courtship, the mated pair builds a large nest during December–February, constructed with large sticks and lined with sprigs of pine, grasses, and other soft materials, gathered by the male eagle who delivers it to his mate, who is responsible for most of the actual nest construction. Once the nesting site is chosen, the mated pair will usually return every year to the same site and add to the existing structure. 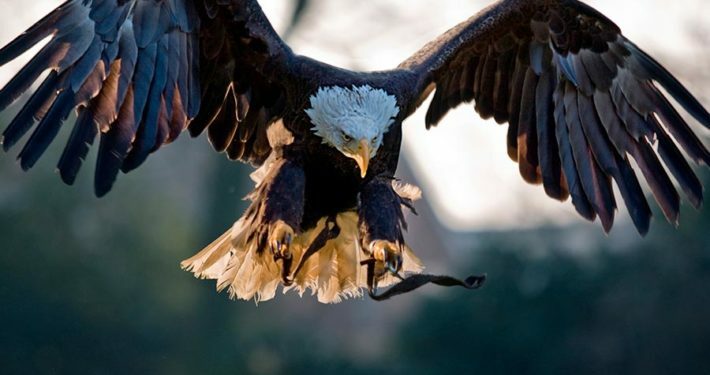 The female Bald Eagle lays one to three (two average) eggs several days apart, usually between early March and early April. The eggs are incubated for roughly 35 days. Eggs do not hatch at the same time, giving an advantage to the first hatched chick to survive since it will be able to overpower the latter hatchling if food is scarce; this behavior increases the probability that at least one chick will survive. Young eaglets grow rapidly and may eat up to two pounds of fish per day. 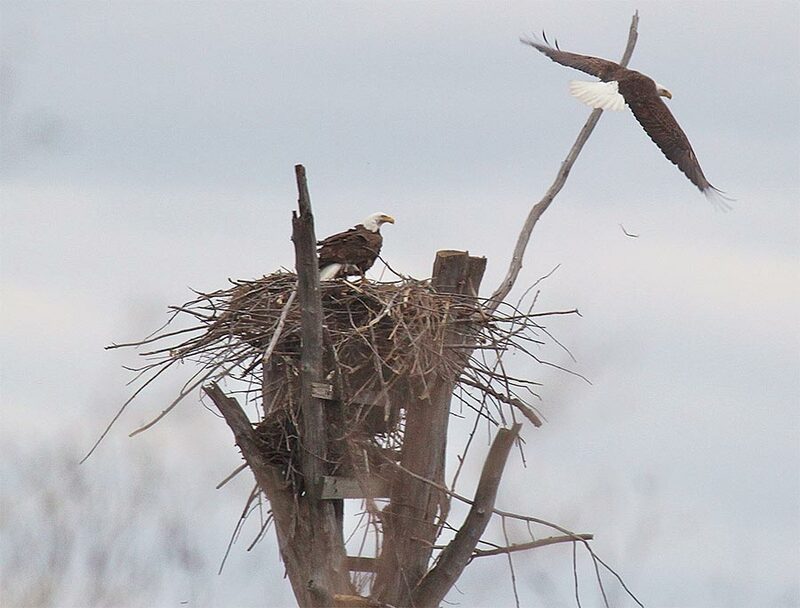 Ten weeks after hatching, they begin to make short flights from the nest, spending much time with the parent birds observing the adults as they catch and find food. By late fall the adults will no longer care for their young, and the fledgling eaglets begin life on their own. The entire breeding cycle, from nest construction to fledging of young, lasts 6–8 months. 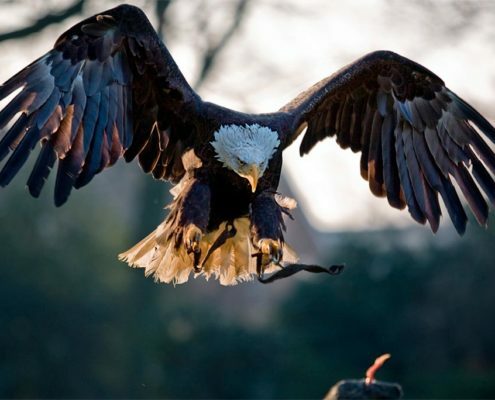 Most Bald Eagles appear to nest within 200 miles of where they hatched. If a call is received regarding a large raptor, i.e., they should be instructed to call Wild Care (508) 240-2255 on whether or not they should even approach it. 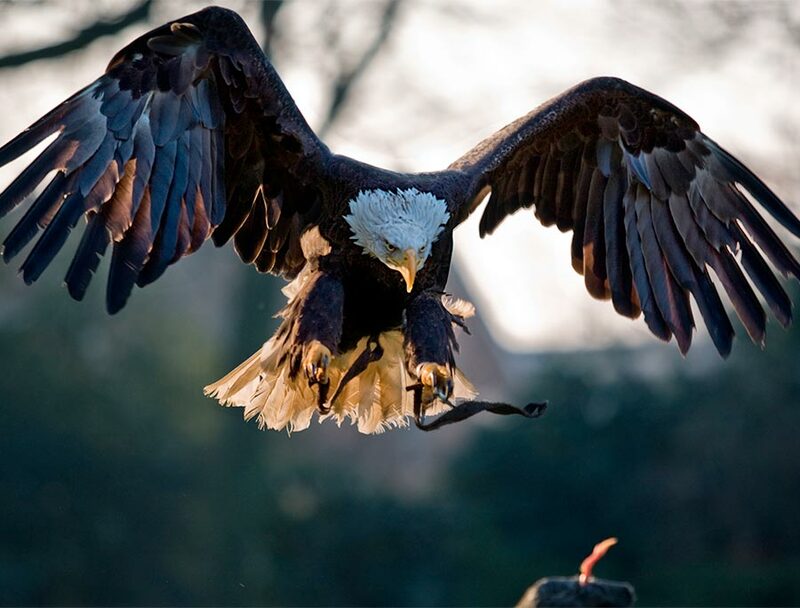 Talons and beaks can inflict serious damage and an experienced handler should be notified.